This handmade purse measure app. 10 x 9. 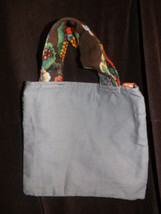 It has 2 handles at the top with Velcro for keeping the purse closed. 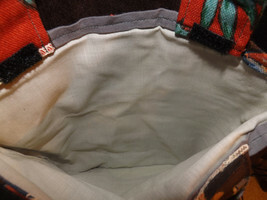 The inside is lined with a very light green green fabric. 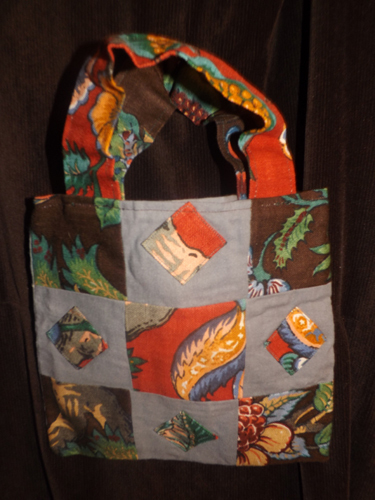 I can also custom design with colors of your choice and for a minimal fee of 5.00 I can add an embroidery design to the center square on the front of the purse.